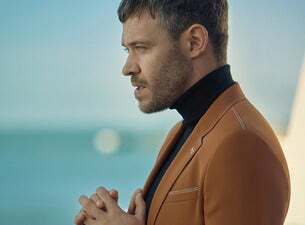 Winner of the inaugural series of Pop Idol in the UK, Will Young is a British singer-songwriter and actor. His debut double A-side single, released after his win on Pop Idol, became the fastest-selling debut single in UK chart history. Since winning, Will has released six studio albums including debut From Now On (2002), Friday's Child (2003), Keep On (2005), Let It Go (2008), Echoes (2011) and 85% Proof (2015). His best known tracks include Evergreen, Light My Fire, Your Game, Jealousy, Changes and Leave Right Now. He has also appeared on stage and screen – notably in the role of Bertie in the acclaimed BBC film Mrs. Henderson Presents alongside Judi Dench and Bob Hoskins, and as Emcee in the 2013 London revival of Cabaret, for which he was nominated for a Laurence Olivier Award. An active campaigner for LGBTQ rights, Young co-created the popular LGBTQ-focused Homo Sapiens podcast, which he co-hosts with filmmaker and friend Chris Sweeney. Young is now gearing up for the release of his hugely anticipated seventh studio album, Lexicon. The record is due for release on 14 June 2019 and sees the singer reunite with producers and songwriters such as Richard X, Jim Eliot and Mima Stilwell, who worked on Young’s 2011 album Echoes. In support of the new album, Young has confirmed a brand new UK headline tour, starting in Torquay on 1 October, running through until 29 October 2019 where the tour finishes in Blackpool. The upcoming tour will give fans the chance to hear tracks from Lexicon live for the first time, as well as some of the biggest hits from his career.